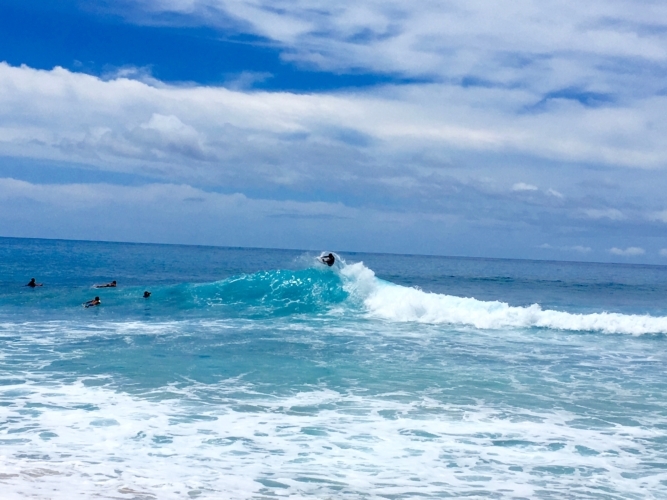 Make no doubt about it; when learning to surf in Hawaii on the island of Maui on the Westside, Southside or secret spots and or Oahu in Waikiki, Westside or North Shore with Nancy Emerson School of Surfing or Aloha Surf Clinics. You won’t get a Better Surf Lesson, Surf Clinic or Surf Camp. Or get better results anywhere else in the world. Nancy Emerson Surf Clinics Welcome’s you to come join them in Honolulu, Oahu and Maui Hawaii or down under on the Gold Coast of Australia. Under Nancy’s guidance, teaching, coaching and training beginners as well as surfers you will improve your focus, determination, and will develop a greater understanding, ability to read the ocean on your own. Boosting your progress will help move your surfing to new heights of confidence, skill and precision. The quality of your lesson or surfing clinic will give you personalized attention and individualized feedback after every wave, which ensures surfing success, even if it is your very first time surfing. 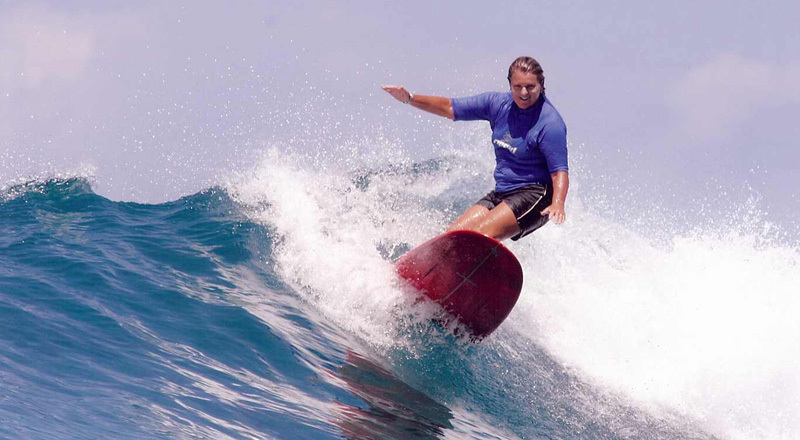 Nancy Emerson is the originator of the acclaimed “Learn to Surf in One Lesson” technique that started on the island of Maui in 1973 at the Maui Surf Hotel. 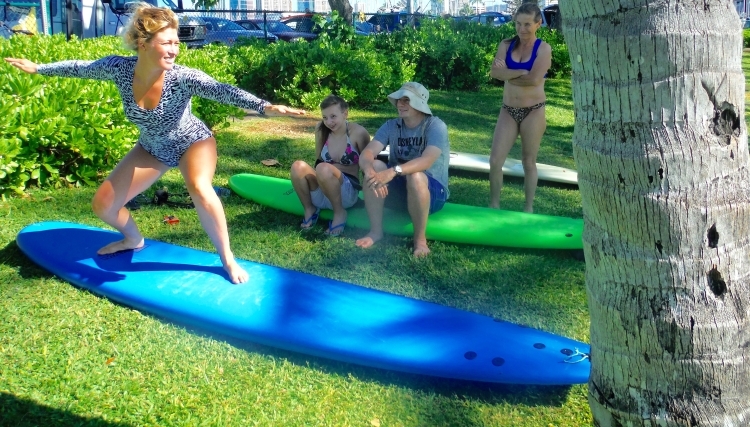 Only at Nancy Emerson School of Surfing and Aloha Surf Clinics on Maui and Oahu in Hawaii or on the Gold Coast of Australia can you learn Nancy’s holistic philosophy that merges ability, water safety skills, and fun. It is this combination that enables those who take Nancy’s surf lessons to enjoy surfing in just one day. 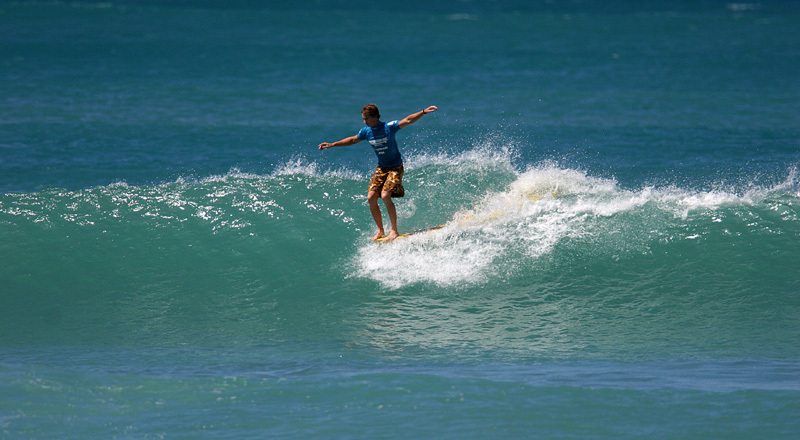 Planning your surfing holiday to Hawaii on Oahu or Maui surf clinics and The Gold Coast are a pure surfing adventure, that includes ocean awareness, water safety, surf instruction, or you can book reservations for a customized surf safari complete with transportation. You can be picked up from your South shore accommodation on Oahu or Maui to all the great Hawaiian surf spots. 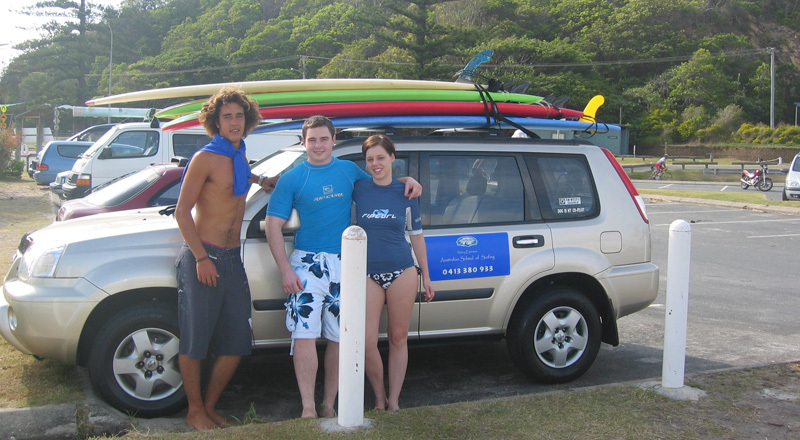 You can also set up reservations from the southern Gold Coast to Byron Bay or other NSW surf spots. 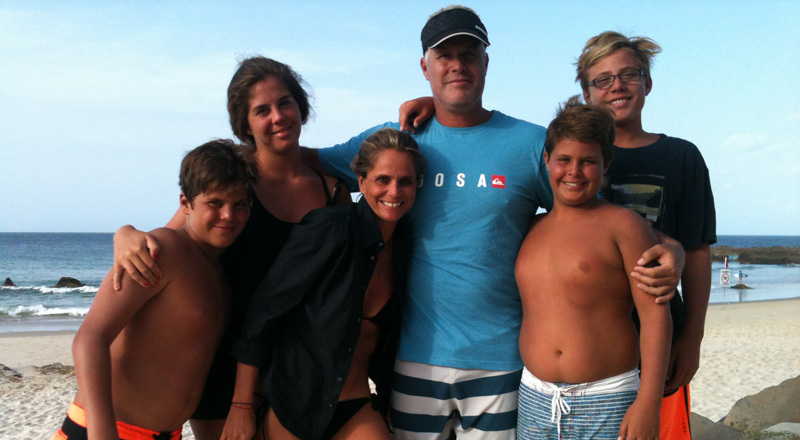 Nancy offers Girlfriend, Boyfriend and family surf holidays for a sustainable ecologically friendly experience. If you are a competitive surfer, Nancy Emerson is one of the top former pioneer (ASP) WCT professional surfers who also personally coaches amateur, elite, and top WCT professional surfers. With her holistic, competitive surfing history, she can bring a current competitive surfer to new levels of success with her coaching and training style. Nancy’s commitment to vision brings surfing within the reach of anyone who has the desire to learn to surf. Ms. Emerson’s School of Surfing and Surf Clinics caters to everyone – for those as young as 5 years old and the excited 80 year olds that want to give it a Go too! And including those with special needs who have the passion to have a wonderful experience. Nancy’s schools have wonderful success stories that you can find here on her site too. The surf techniques, Maui Surf lessons and Oahu and Maui surf clinics offered in Hawaii and on the Gold Coast of Australia are based on Nancy Emerson Surf Clinics, which has earned Nancy Emerson the respect of international legendary surf champions as well as those visiting the Hawaiian Island, taking beginner surf lessons and surf clinics. 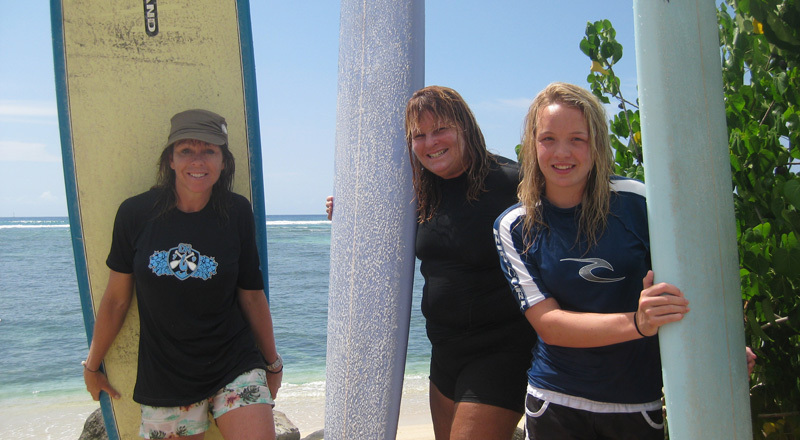 Nancy’s surf schools and surf clinics have been around the world in places such as Japan, Malibu California, Kauai, Big Island Hawaii, Florida, Dominican Republic, Mexico, Fiji, Marshall Islands, Samoa, and currently on the Gold Coast in Australia and in the Hawaiian Islands. Hawaii's first surfing institution in Hawaii, Nancy Emerson started “Aloha Surf Clinics with Nancy Emerson” and “Nancy Emerson School of Surfing” on the island of Maui and has been teaching people of all ages to surf since 1973. Focusing on the complete surf experience, the school places a strong emphasis on water safety, ocean awareness and surfing etiquette. Coaching with a keen eye to the subtle aspects of form and style, with a specialty in developing a proper foundation for the beginner and first-time surfers, as well as providing the tools and techniques to help hone the skills of even the most experienced surfer. **********!!! I would give Nance ten out of five stars if possible!! 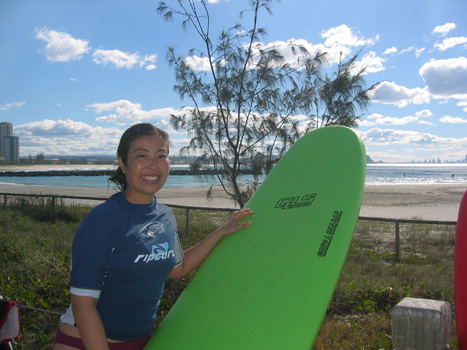 She is one of the most knowledgeable, positive, and constructive surf teachers both in and out of the water. As an avid surfer and traveler, I would recommend Nance and her surf school to anyone at any level: whether you're a seasoned professional or it's your first time ever paddling out. Nance will physically as well as mentally help you to the best surfer you can be. I am so blessed to have worked with her and truly believe she is the epitome of the aloha spirit. SURFING WITH A LEGEND: TWO DAYS WITH NANCY EMERSON. I want to share with all the people who are going to learn surfing my great experience with one of the best surfing teacher in the world, Nancy Emerson. The first day I meet her we had a pleasant hour talk in a cafe in Palm beach, Gold Coast just to know each other and to prepare the upcoming two days of lessons. She wanted to know everything about my surfing experiences and skills. I had surfed before, but the few times I surfed a wave was something so occasional that I didn’t know what I was doing. We talked also of our life just to be more confident. Nancy was really a friend from the beginning ‘cause she helped me to find a safe accommodation for the night. The first day we met at Rainbow Bay Coolangatta at 7 am, after a patient check of every spot we decided to start from Snapper Rocks, cause the waves were long and good for a beginner practice and no one else was out, which rarely happens there. Before touching the Ocean we had 30 minutes an unforgettable talk on the beach on the basic surfing techniques and the most important Nancy’s five principles that a surfer should never to forget. After this surf introduction we start paddling to the best know Snapper Rocks spot just in front of the Quicksilver Pro ASP stage. Nancy was always looking at me while moving into the water and always correcting me with my position on the board. The first wave I tried to catch was a success, I surfed it all the way in and with Nancy’s instructions it went so natural. I surfed many other waves during that session, and Nancy was always by my side giving me advices and insisting on my position and paddling technique that is fundamental for a good surfer. At the end of the morning I was confident with the Ocean and waves and ready to start on the next day. I was given a positive affirmation for the night coming, which consisted to repeat down on a paper a series of errors I was doing during that day. This was really helpful the day after ‘cause I was remembering that errors and trying to avoid them while paddling in the Ocean. The second morning we started at Rainbow Bay, the waves were good, but current was really strong. After a brief summary of the five principles, studying the waves and currents and a bit of warm-up, we went into the water. The condition s were difficult, but it was really helpful for me ‘cause I had the chance to exercise how to contrast the wave impact zone. Nancy taught me the best way to look at the waves and avoid the waves while paddling back out surrounding them. I had a moment where I was not concentrating and Nancy noticed it immediately, and she decided to take me out of the water for a couple of minutes to show and explain to me what I need to look for when I am in the ocean. With those few words Nancy shared I understand the errors I was making and I was ready to hit the Ocean again. When the lesson was finishing we had a long talk on Rainbow Bay, we discusses about the two days, the big principles and after those two days of intensive lesson with Nancy I now can say, I’m a surfer. I have the basics to handle a surfboard, jump on it with the proper movement, and surf waves in an elegant style and I have learned all in a super simple way. Nancy gives you all the necessary basics to be a great surfer, without un-useful techniques, ‘cause surf movements have to be natural. And this is how I feel now while surfing, I feel confident in the Ocean and perfectly conscious on the surfboard. These days for me were not just a surfing lesson, they were a lesson of life. Nancy was a teacher, but also a friend and I will get in touch with her as soon as I need some professional tips for my surfing progress. If you want to learn surfing dudes, go for Nancy Emerson you’ll never regret!